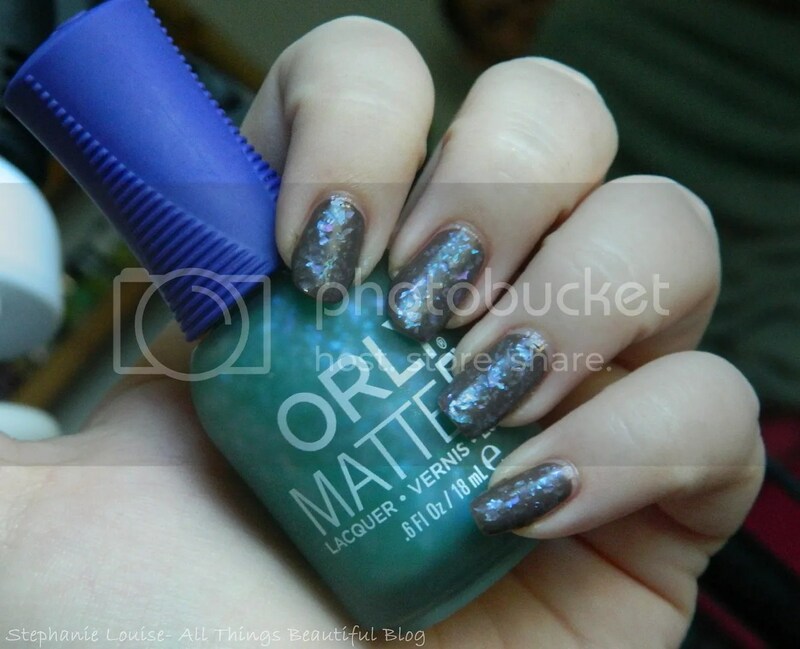 Left to right: ORLY Matte FX Nail polish in Pink (1 coat), Green (1 coat), Pink (3 coats), & Green (3 coats). 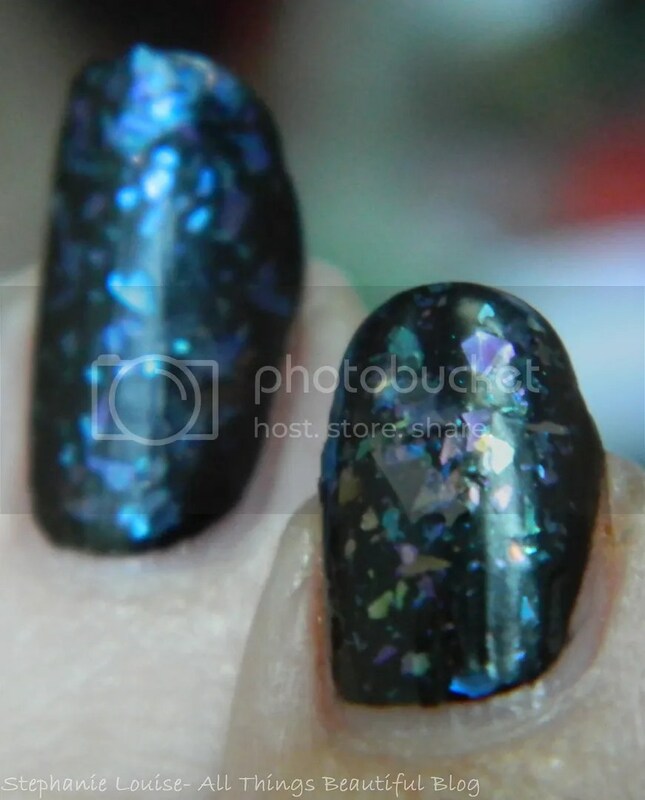 When swatching flakies I think it is really important to show them over black so you can really see the shift as much as possible since that is what a lot of people prefer. On my pointer & middle finger I used 1 even coat then on my ring finger & pinky I used 3 coats over Color Club Where’s the Soiree. 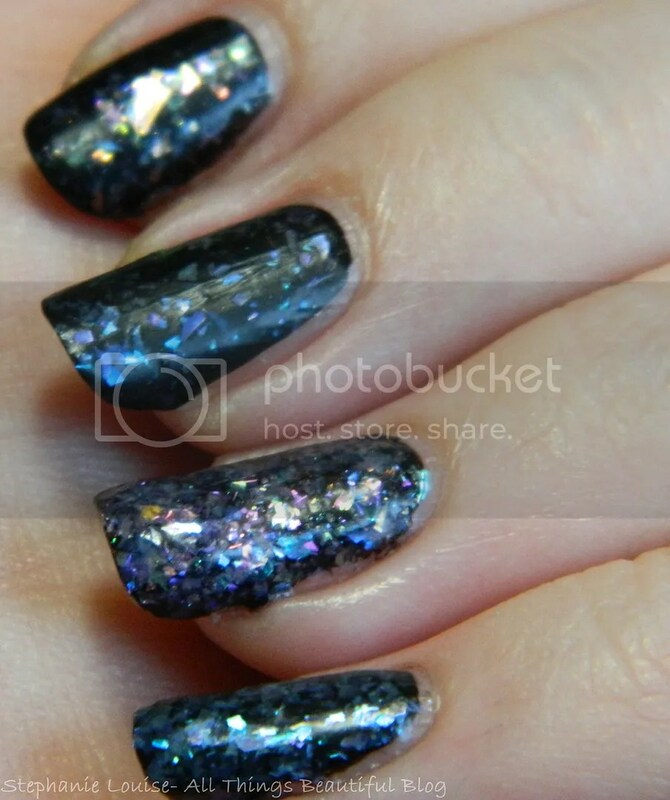 Up close you can see these are really nice “shattered” type flakies which I like. You can see Pink has pretty much every color in there where Green to me should’ve been named blue since it leaned that way the majority of the time. 3 coats was a bit goopy but I think if I had been more precise they would have been more even. 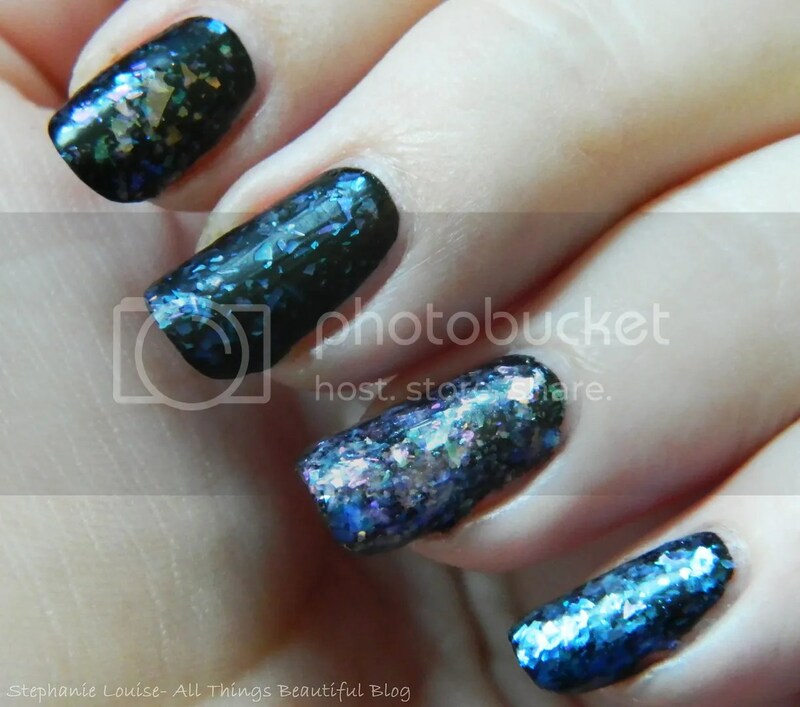 I really love the look of these over black but I thought it would be nice to show them over some fall type shades as well & with top coat. Enjoy! 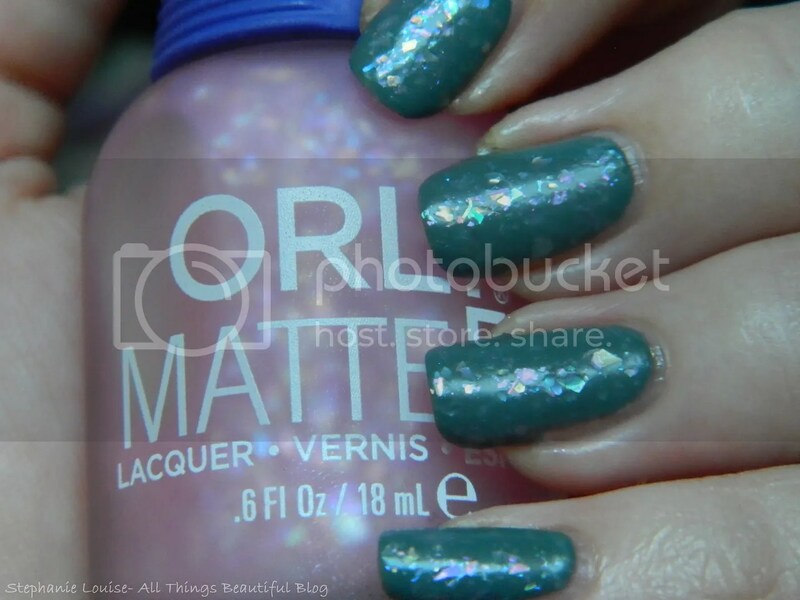 Orly Matte FX Nail Polishes in Green Flakie Topcoat- A flakie topcoat that flashes shades of blue, green, purple & dries matte.One medium coat over OPI You Don’t Know Jacques!. 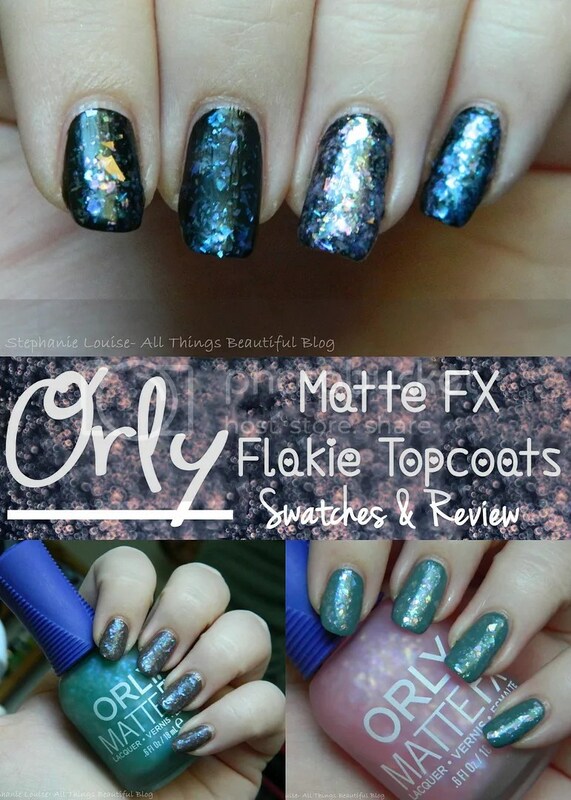 Orly Matte FX Nail Polishes in Pink Flakie Topcoat- A flakie topcoat that flashes shades of pink, tangerine, green, purple & dries matte. 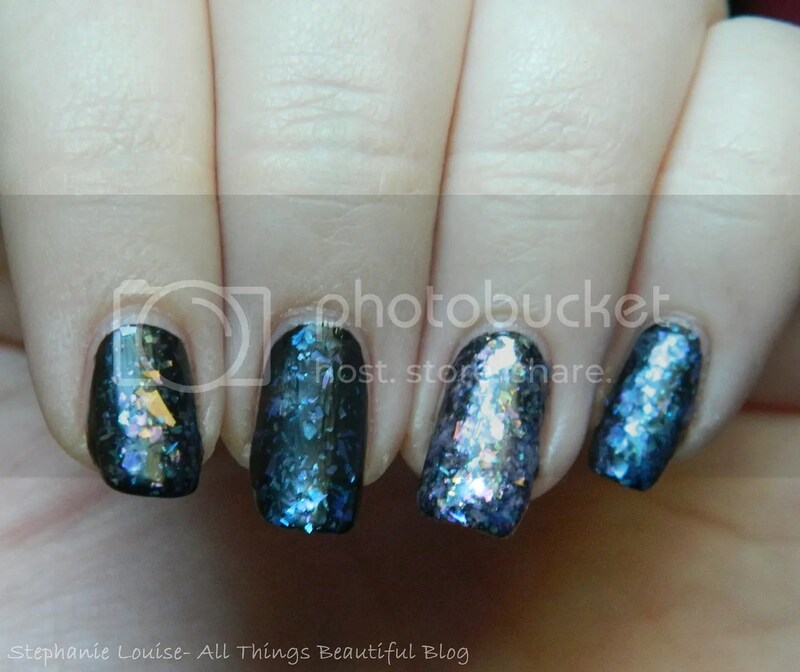 One medium coat over Essie Vested Interest. 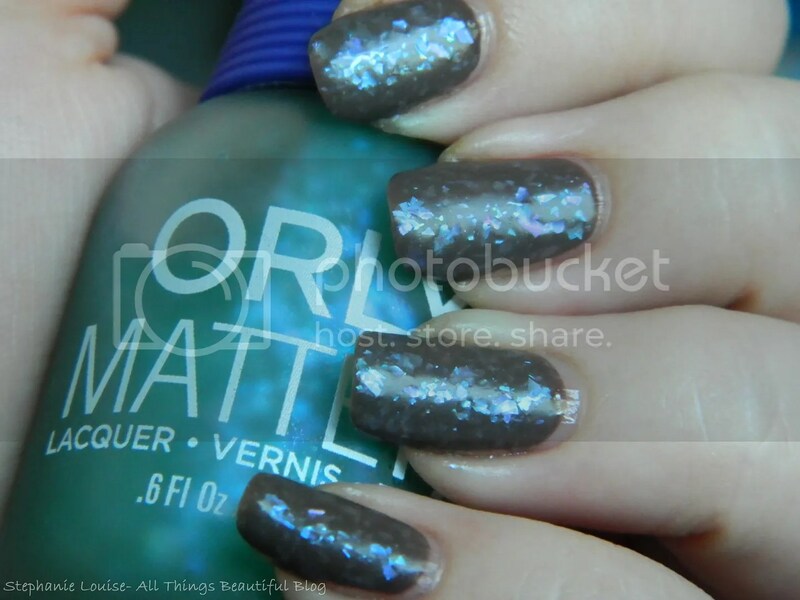 Personally I prefer them with top coat because that makes them really flash but matte is fun too. Again I call that Green a BLUE but whatever man, whateves. 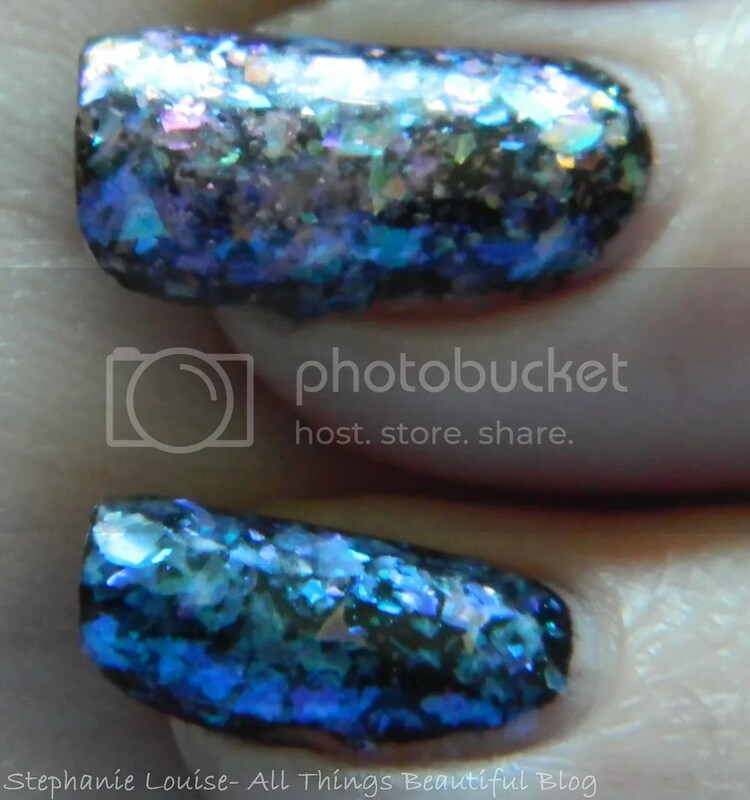 Pretty shades of flakie glory, I’m a happy girl. These are limited edition & I found mine at Sallys. What do you think? 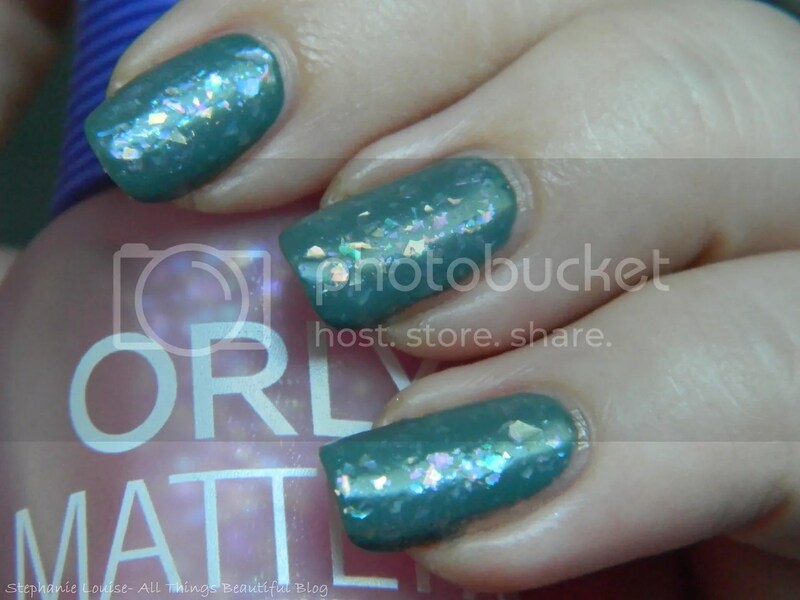 Are you a flakie fanatic? Will you be scoping these out?